Add animated and still emojis to a video, image or gif. 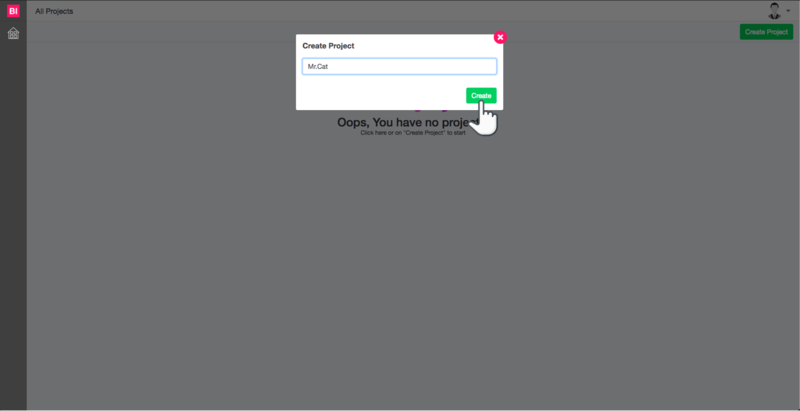 Upload your content, upload the emoji drag and drop it into position and click "Complete". Now upload your video directly to your new project. 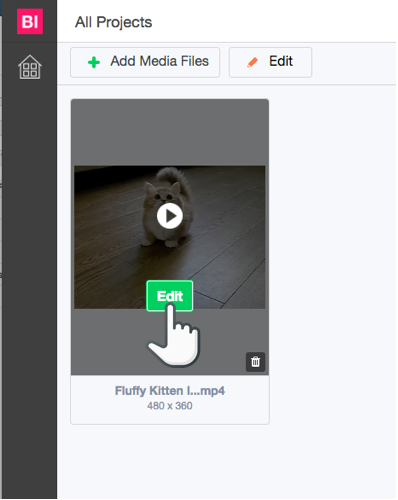 You can even upload images and gifs. Remember stickers is a png file with a clear background and animated stickers is gif a file with a clear background. 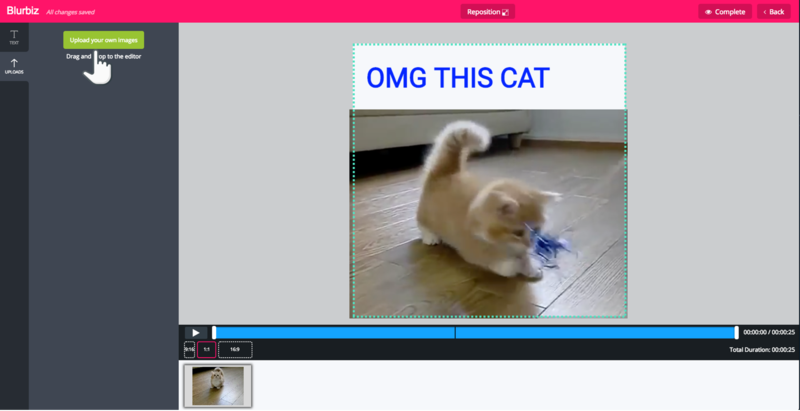 Once you have uploaded your video, hover over and click the "Edit" button. Click the upload icon on the top left column, Upload the sticker (.png file) from your desktop, once your sticker has been uploaded, Drag and drop the sticker on top of your video. Set your desired position and you can easily change your sticker size by scaling it up or down. Drag and drop your sticker into place, easily scale up down and rotate to adjust size and placement of your sticker. Just hit “Complete” on the top right corner. And you are done. You can now download your video in mp4 format.